So I'm a big fan of bay rum as an aftershave and after shower splash. I've used bay rums from Bermuda, USVI, Puerto Rico, California (Santa Cruz) and Dominican Republic. Recently I learned of a Jamaican bay rum called Benjamin's (it has a lion as their logo). Ordered some to give it a try. Anybody else love bay rums, and if so, have you tried Benjamin's? I've never heard about this. So basically it's rum (but not the type you drink) that you use as aftershave? I assume it's a gentle rum-scent mixed with other aromas? Sounds very interesting. Going to investigate further. 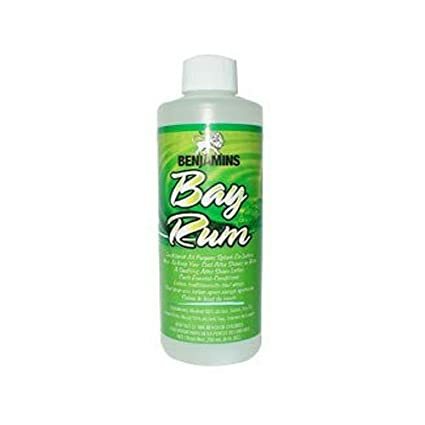 Ha, haven't heard anyone mention bay rum for years! My parents used the rubbing alcohol type for aches and pains and my barber used the cologne version. Has a very familiar and comforting aroma. just ordered some Benjamins on the back of this thread! Please give a review ... very intrigued and been thinking about ordering but the shipping and cost makes me want to be a bit more certain first. only 4 quid though so i'm not complaining.. Yes but is it any good for man flu? I got my Benjamins in the mail finally. The smell is authentic but it's so light. The lovely bay rum smell dissipates from your skin seconds after splashing it on.